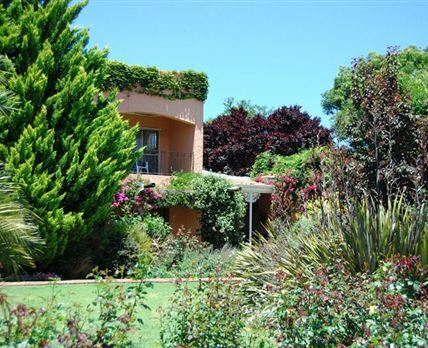 Rustig Farm Stay B&B is situated on a lovely working farm called Rustig near Somerset East, in the heart of the Blue Crane Route. The farm offers guests a choice of two comfortably furnished rooms with en-suite bathrooms that have baths only. Coffee and tea facilities are provided and each room is equipped with a TV. The Double Suite also has a private entrance. Braai facilities are available to guests and additional meals are available on request. Secure parking is provided and a laundry service is available. The forested, mountainous backdrop creates a dramatic setting for the town, within sight of 16 waterfalls. Here travellers will find the thickly wooded Boschberg Nature Reserve. The reserve is popular for its hiking trails and the whole area is excellent for birdwatching. Various other activities can also be enjoyed, including trout fishing in five local dams and in the Glen Avon Waterfall pools. The highly rated 9-hole golf course is said to be one of the most beautiful in the country. Click here to enquire at Rustig Farm Stay B&B.